(Bloomberg) -- Atari fan Elon Musk has been awarded a U.S. government contract to essentially play a real-life version of the arcade shooter game Asteroids with his rocket company, SpaceX. NASA awarded Space Exploration Technologies Corp. a $69 million contract last week to provide launch services for the agency’s Double Asteroid Redirection Test mission. The program is seeking to be the first ever to demonstrate the ability to deflect an asteroid by colliding a space craft into one at high speed. 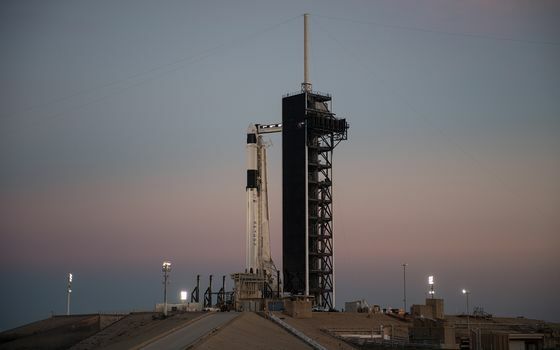 The test mission is targeted for a June 2021 launch on a SpaceX Falcon 9 rocket, NASA said in an April 11 statement. The mission will be to intercept a small moon of the asteroid Didymos more than a year later, in October 2022, when it will be within 11 million kilometers of Earth, according to the agency. Musk, who’s chief executive officer of both SpaceX and Tesla Inc., deployed Atari games to the latter company’s electric vehicles last year as part of an over-the-air software update. The slate of games initially made available to play using Tesla steering wheels and center-console touch screens include Asteroids, Missile Command, Lunar Lander and Centipede, according to TechCrunch.